I take an integrative approach and utilize empirically-based practices to assist individuals in identifying and addressing problematic behavioral, cognitive, affective, physiological, or spiritual dimensions in their lives. 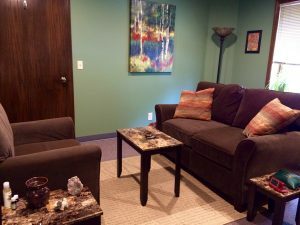 I will draw from cognitive-behavioral therapy, mindfulness techniques, acceptance and commitment therapy, motivational interviewing, solution-focused therapy and psychoeducation to help move you in the direction you want to go. That said, only you know what is or is not working and I rely on your feedback for the best outcome. Therapy is a collaborative process. EMDR utilizes bilateral stimulation (BLS) in an effort to activate/enhance our brain’s natural capacity to process trauma, allowing us to move forward with less distress and disruption in our daily life. Please read my blog post or contact me for more information. For the evaluation of substance use disorders I utilize the Addiction Severity Index (ASI), which is a semi-structured interview for substance abuse assessment and treatment planning. The ASI is preferred and accepted by the Nebraska criminal justice system. If you are looking to explore your relationship with substances, I can help. If treatment for substance abuse is recommended and court-ordered, I will work with your probation/diversion officer to keep them apprised of your progress while in treatment. I also accept self-pay. Cash, check and all major credit cards are accepted. Please feel free to contact me Monday – Friday from 8am to 7pm to check for availability.